Have you ever wanted to learn the secrets of the Force? Sure, every grown adult has thought about that at least a few times in life, especially after watching Empire Strikes Back. The real problem is that there are so few Jedi Masters in the universe. You almost have to hop on a starship bound for the Dagobah system if you want to find someone who's capable of teaching the ways of the Jedi. Well, not anymore. 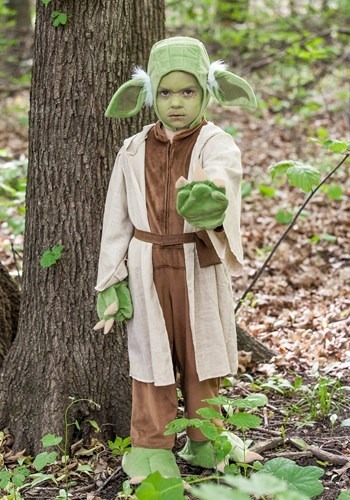 When you can turn your child into the greatest Master to ever live in a galaxy far, far away, every day with your youngster can be a training day. 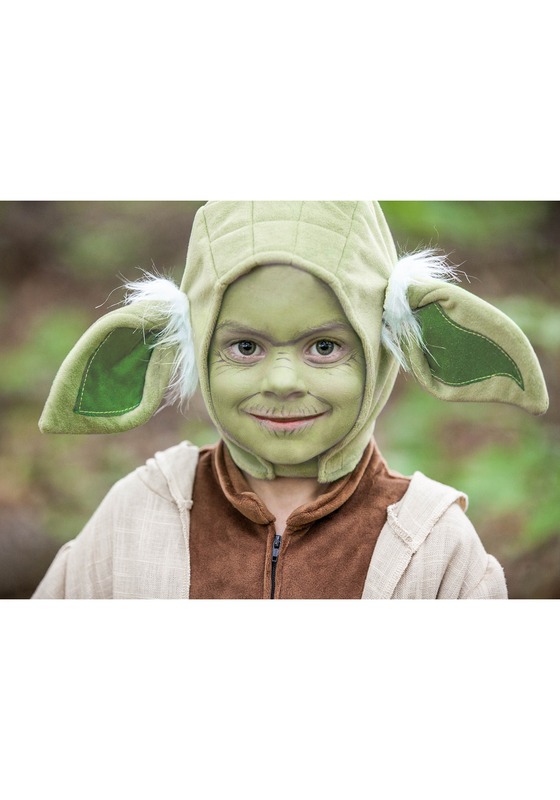 That's right you can turn your child into the once leader of the Jedi Council with this kids Yoda costume. This outfit comes straight from the Star Wars movies and has a polyester jumpsuit with an attached robe. 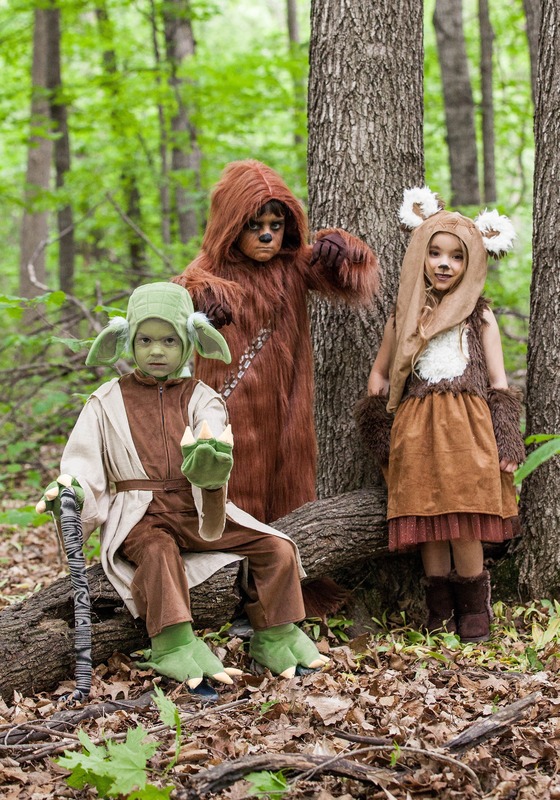 A set of foot covers are included to make sure your little one has the green feet of a tiny Jedi Master. 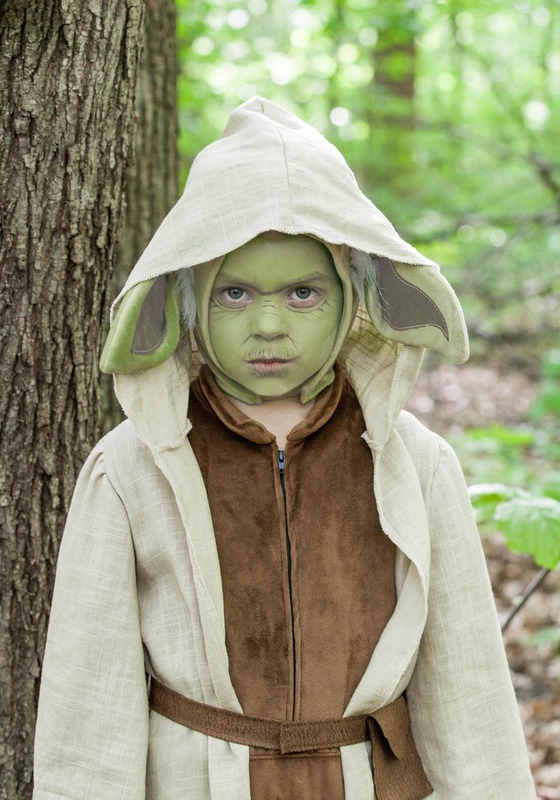 A set of matching hand covers and a soft, plush Yoda headpiece. The only thing missing from the outfit is a lightsaber and some wacky English language syntax! Once your child has it on, you can quickly transform a trip to the park into a Jedi training mission, where your young one teaches you all about the ways of the Force. Who knows? 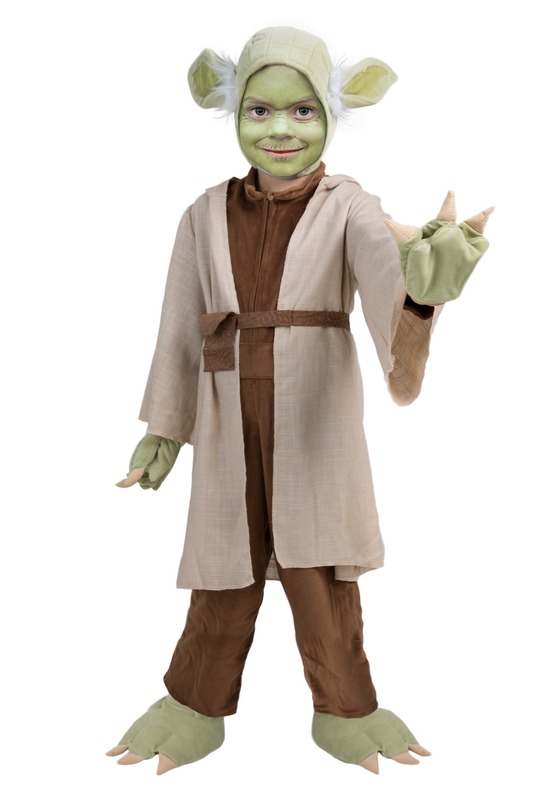 He may make a Jedi Knight out of you yet! If you want to get the full training experience, make sure to check out our Luke Skywalker costumes.